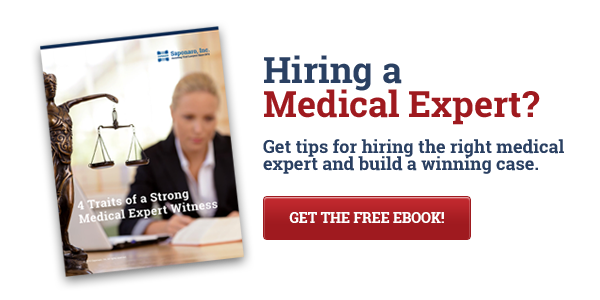 What are the Qualities of a Strong Expert Witness? Choosing the right expert witness can make or break your case; but what is it that makes a strong expert witness? Experts who work as professional witnesses do not carry the same weight with a jury that an actively practicing professional will carry. An expert that is currently working in the field and has first-hand experience in the subject about which they are testifying is most persuasive to the jury. Non-practicing experts lack the day to day experience to stand up against cross examination. An experienced practitioner can speak with confidence when challenged. Strong experts can speak to recent developments and publications in their areas of expertise. The ability to cite research to support their opinions and to comment on recent techniques or theories allows the jury to trust their expertise. Expert witnesses are utilized at trial because the subject about which they are testifying is not common knowledge. An expert that is a strong teacher, with the ability to explain in clear, concise terms, allows the jury to better grasp the material. The subjects that an expert witness testifies to are vital; however, the expert’s appearance and demeanor are equally as important. A jury that finds and expert sincere and open can listen to what the expert has to say. At times, due to the complexity of the subject matter, an expert can appear condescending. If a jury has negative feelings toward an expert, it can impact their perception of the testimony. Therefore, it is important for expert witnesses to be likable while delivering testimony. Saponaro, Inc. has a strong selection of premier expert witnesses in all areas of litigation. We offer a no obligation consultation to so we can help you obtain the best expert for your case. A strong case starts with the right expert. Contact Saponaro today to get started. © 2019 Saponaro, Inc. All rights reserved.